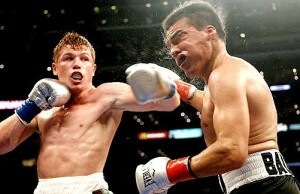 We’re all familiar as modern fight fans with the problem of four major sanctioning bodies recognizing as many as three different “world champions” across 17 weight divisions—at any given moment, there may be as many as a hundred fighters calling themselves the champion of the world. Contrast the old days, when you had at most two competing organizations (the New York State Athletic Commission and the National Boxing Association, forerunner of the WBA, and as America went, so went the world) recognizing world champions. Sure, you had the occasional newspaper guy or Ring Magazine throwing its two cents in, but as a rule of thumb, if you wanted to be world champ, you had to play ball with at most two groups. That changed in 1963 with the formation of the World Boxing Council, and in 1965, for the first time, the WBC recognized a champion where the WBA refused to do so; the WBA stripped Salvatore Burruni of its flyweight title for refusing to defend against Horacio Accavallo (interestingly, Accavallo would defeat Burruni only four months after that fight, in a non-title contest at bantamweight), while the WBC continued to recognize Burruni as its flyweight titlist. In the fifty years since, no man has ever held the WBC and WBA flyweight belts at the same time. This paved the way for the IBF and WBO to get into the game in the Eighties, and boxing has been a mess since. But what if the WBC and WBA cold war ended with a decisive victory for one side, which then consolidated its power with the help of the boxing press to never again face a serious challenge for legitimacy as the group which crowns the “real” world champion and unifies all title lineages under its banner? 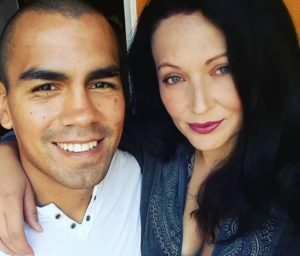 Several groups, from Ring Magazine to the Transnational Boxing Rankings Board, have attempted to do this, and every boxing writer with a platform to publish secretly (or openly) wishes he could be the kingmaker…but speaking of kings, we begin our departure from history with one of boxing’s most infamous scandals. The Ring Magazine Scandal is one of those bits of boxing history that could only happen in a sport as covered in sleaze as the sweet science. But in this timeline, when Don King and John Ort went to hatch their scheme, Ort’s superiors at Ring Magazine nixed the idea, correctly assuming that the scandal would break soon enough; word was that New York State Athletic commissioner James Farley was getting nervous and that ABC would catch wise soon enough to what was going on. King needed a patsy. Luckily for him, he had a ready-made patsy in Jose Sulaiman, who didn’t have anywhere near the amount of distaste for funny business as his journalistic would-be counterpart as far as creation of boxing rankings were concerned. Sulaiman needed something that would give his organization an advantage over the WBA, which had the weight of history that the WBC lacked. 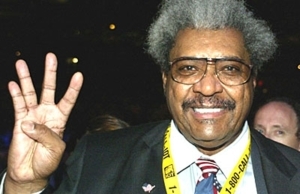 Sulaiman was also a friend of Don King; one might even say that he was King’s lapdog. So when opportunity knocked and the WBC could offer its championship belt to the winner of King’s mega-boxing-spectacular, Jose Sulaiman was all in. June 14, 1976: Malcolm “Flash” Gordon breaks the WBC/King connection story; boxing world rocked to its core. Really, you could’ve played Yakety Sax over the proceedings from that point. The WBC altered its rankings so quickly that any fool could’ve caught wise; as it turned out, Flash Gordon, with a little help from Alex Wallau at ABC, figured out what was going on. It got worse for Don King. A Democratic Congressman from New York by the name of Jerry Ambro was caught up in a tight race with Republican Howard Hogan in his quest for a second term in Washington; in the prime timeline he would win re-election with only 53% of the vote. 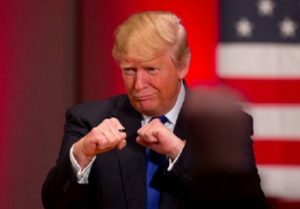 Ambro needed something that he could use to convince voters that he was an upstanding guy, and New Yorkers have always taken boxing a little more seriously than perhaps is strictly necessary. What’s more, when James Farley had backed out of the beginnings of a deal with Don King, King blackmailed him, suggesting that perhaps Farley’s security with the NYSAC or even his continued existence on the blue marble was in some doubt. Farley had a bone to pick and a friend to make, because if he did find himself forced out of the NYSAC, ending up in a cushy government job would be a lovely fallback, and getting Jerry Ambro re-elected would go a long way toward that goal. Farley spilled enough beans to open up a Taco Bell, giving Malcolm Gordon an exclusive which in another wink-wink deal would get John Ort off the hook with his superiors when Ring Magazine broke the story and reaped the benefits of looking like the crusaders rather than like a group that had first crack at the dirty business and damn near took the deal. Everyone who had been implicated in the prime timeline turned state’s evidence; the August 1976 issue of “The Bible of Boxing” rocked America to its core, and Jerry Ambro had what he needed; he was named to head up the Congressional subcommittee that would investigate everything that happened, and with total control of the team the FBI gave him to work with, Farley and Ort came off looking like Boy Scouts. October 29, 1976: Don King convicted of racketeering, extortion; Jose Sulaiman convicted as accomplice. 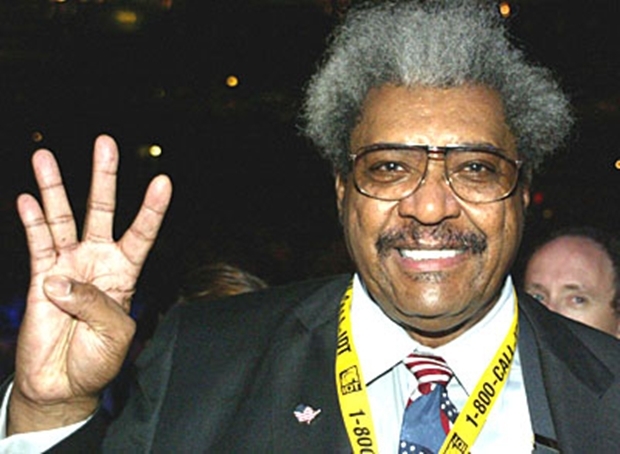 The trial was held in a federal court in Fairfax County, Virginia, ostensibly because it would be easier to recruit a jury that did not have ties emotional or otherwise to New York boxing, but more realistically because Jerry Ambro was going to railroad Don King by any means at his disposal so close to Election Day. A black guy with priors and a Mexican with a dirty reputation tried in a courthouse in one of America’s whitest and richest jurisdictions…in 1976? Who says the Soviet Union had a monopoly on show trials? Of course King and Sulaiman were convicted on all charges. Every sports page in every major metro daily in America ran the story as a Sunday mega-feature two days later on Halloween, including a mammoth piece in the New York Daily News that was so effusive in its praise for Jerry Ambro that you’d have thought the article was paid for by the campaign. November 2, 1976: Jerry Ambro re-elected in a landslide; President-Elect Carter takes notice. Ambro was best known in the prime timeline for being a tireless environmental advocate, including playing a major role in pesticide regulation and expansion of the Clean Water Act. From one form of cleaning up a filthy environment to another, the guy got the job done. Politics is a strange beast, and Teddy Roosevelt probably couldn’t have beaten Ambro with such a glowing news story right on the eve of the election. January 15, 1977: Congressman Ambro introduces legislation that will grant broad, sweeping legitimacy to the WBA as a de facto US national commission; James Farley heads up WBA’s American operation. 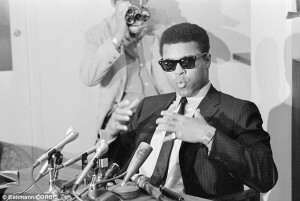 President Carter signed the bill into law shortly after his inauguration; effective April 1, 1977, all boxing events in the United States will, by law, be sanctioned by the WBA. 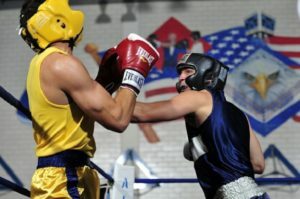 The state athletic commissions are still free to regulate the sport within their jurisdiction, but the effect of all this is that what would become the Unified Rules of the Association of Boxing Commissions went into effect nearly a quarter century before they would become standard in the prime timeline. February 28, 1977: WBC disbands; all its assets purchased by the WBA. April 1, 1977: WBA orders all its champions who are not unified to face the last WBC titlist within the year or have the title declared vacant. Which sets us up perfectly for next week. The fights begin, as disputes are settled, fights are made, and the word “champion” takes on a meaning and prestige that will follow us to the present day and beyond. We’re off on a 40-year boxing odyssey, where we hit the highlights of every major championship fight in a hotly contested universe. From now on, there’s no such thing as grabbing an easy belt to duck the real champion, and if guys like Mayweather and Pacquiao want a championship belt to market themselves with, they’re going to have to fight for it in their prime. From flyweight to light heavyweight, if there’s a belt in dispute, it’s going to be unified as our history begins. Fan mail, hate mail, and your favorite unification fights can be sent to beatcap@gmail.com.